The autumn trees make a stunning backdrop for the sculptures. Excellent shot. Love this! Lighting and perspective are great! 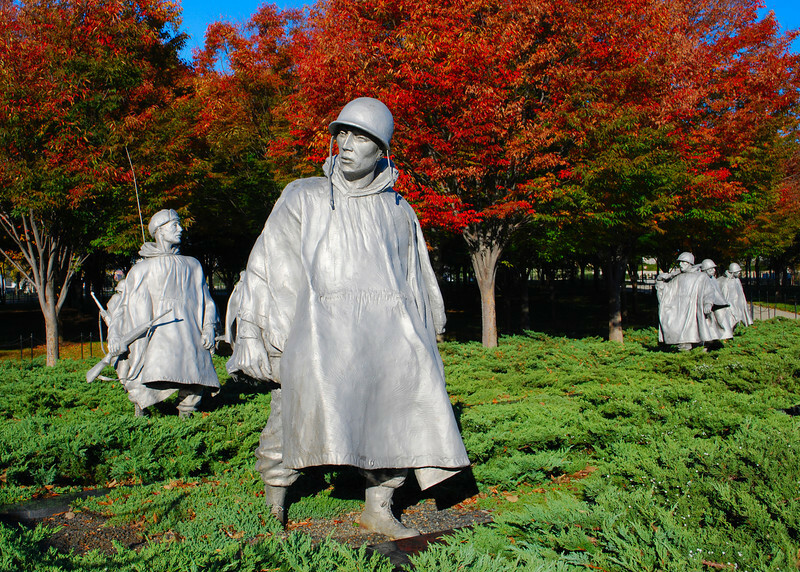 Wonderful tribute -- perfect for Veteran's Day! Beautiful contrast of colors! Nice composition.